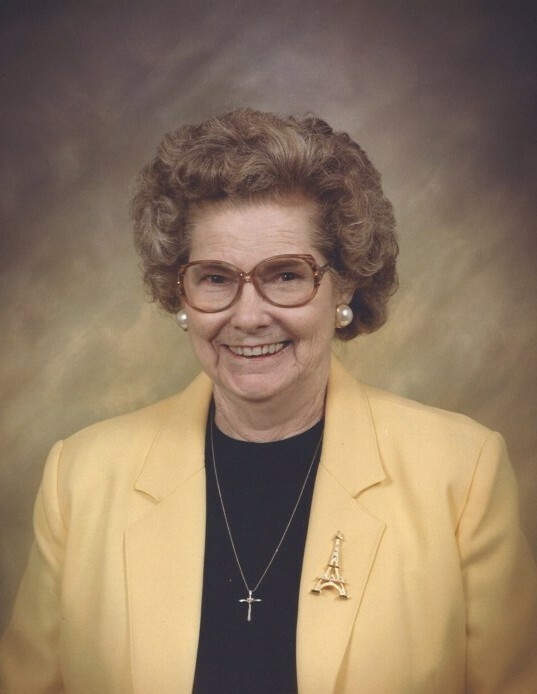 Mattie Florence Sumler Evans, 91, died at her residence at Maple Court on Thursday, March 21, 2019. Funeral services will be held at 4:00 P.M. on Sunday, March 24, 2019 in the chapel of Albritton Funeral Directors with Rev. Rick Evans, Dr. Fred Evers and Rev. Aaron Frasier officiating. The family will receive friends at the funeral home before the service from 2:00 P.M. – 3:30 P.M. The interment will follow the service at Oakridge Cemetery. Her nephews and great nephews will serve as pallbearers. Mrs. Evans was the daughter of the late Annie McSwain Sumler and Tobe Coleman Sumler. She was born October 27, 1927. Along with her parents, she was preceded in death by her husband Floyd Evans, who died March 18, 1992, and her son Wayne Evans who died June 13, 2016. She was also preceded in death by three brothers; Tilman Sumler, Otis Sumler, Clinton Sumler, and four sisters; Velma Shell, Willie Mae Walker, Nita Saenz and Elsie Sumler. To know Mrs. Evans was to love her. She had a smile that radiated the room and a heart of gold. She was a beloved mother, grandmother, great grandmother, sister and friend. She loved her family, friends and the Lord, they were of utmost importance to her. She had an adventure for life and loved everyone, the moment you met her she treated you like family. She was a long-time member of Northside Baptist Church and had lived in Irwin and Tift counties most of her life. She and her husband were the owners of Northside Superette for many years. During her early years she was a telephone operator for Southern Bell, but most of all she was a mother to her children. She leaves behind two daughters and a son-in-law, Gail Evans, Judy and Loron Williams. Grandchildren: Micah and Brooke Baldwin, Adrienne and Aaron Frasier, Julienne Baldwin. Great- Grandchildren: Jackson Baldwin and Lane Williams. Sister: Retha Coleman. Linda’s Personal Care Service- Kim Billings.